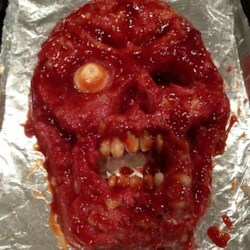 Great Halloween food. Lots of fun, my kids loved it! I used pieces of onion for the teeth and added them before baking so they weren't raw.